Now in its sixth year, the 2014 edition of the Chicago International Movies and Music Festival boasts a typically eclectic and intriguing lineup — including live musical performances by the likes of Booker T. Jones, Claudio Simonetti’s Goblin, Califone and Yo La Tengo. My preview below, however, focuses solely on the cinematic side of the festival equation. Here are my picks for four of CIMM’s best movie bets, including two new films and two revivals that I think are well worth your time. I was predisposed to liking this, given my affinity for Icelandic culture, but writer/director Ragnar Bragason’s sharply observed drama is the kind of small gem that I imagine will impress film festival audiences wherever it plays. 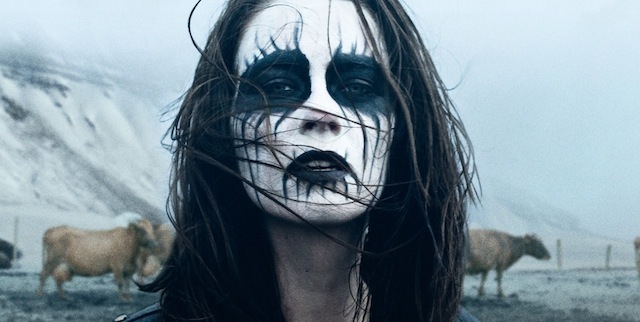 Thora Bjorg Helga, starring in only her second feature film to date, gives a quietly powerful performance as Hera, a teenage “metalhead” who lives with her parents on a farm in rural Iceland. Hera’s enthusiasm for heavy-metal music is spurred by the accidental death of her beloved older brother, who was also a fan of metal and whose identity she subsequently adopts. Hera rebels against her family, community and church by immersing herself into a subculture that doesn’t even exist in the small town where she lives — the dramatization of which stands as the most poignant exploration of grief I’ve seen in a movie in some time. 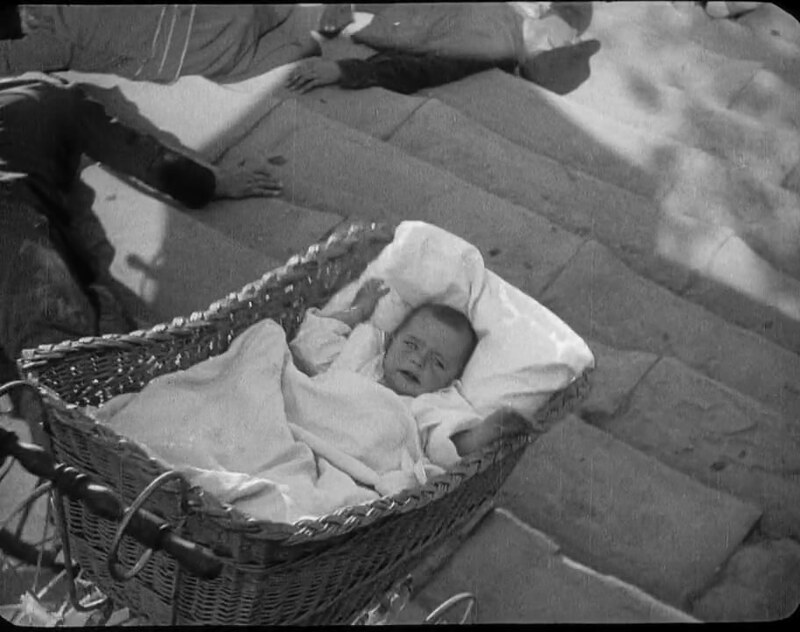 But all of the film’s characters are impressively nuanced, including Hera’s parents (played by Halldóra Geirharðsdóttir and and the inevitable Ingvar Eggert Sigurðsson) and a sympathetic local priest, whose tender encounters with Hera reminded me of the relationship between the characters portrayed by Maureen O’Hara and Walter Pidgeon in John Ford’s How Green Was My Valley. I read that Limp Bizkit’s Fred Durst wants to remake this; if there is a God, he will not allow it to happen. 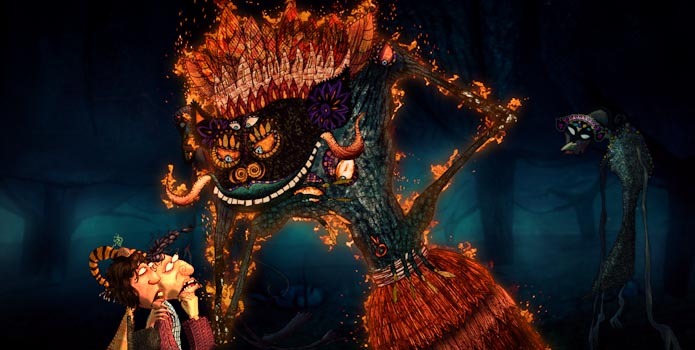 The CIMM Fest screening of The World of Goopi and Bagha marks the impressive U.S. premiere of a great new animated film from India. The title characters are a singer and a drummer who meet on the road after being banished from their home villages for playing lousy music. The fortunes of Goopi and Bagha soon turn around, however, after they encounter a “ghost king” who grants them the ability to enchant anyone who hears their music. These lovable scoundrels soon use their new-found powers to broker peace between two rival kingdoms in exchange for the hands of two beautiful princesses. Based on a story by Upendra Kishore Raychowdhuri, already immortalized by Satyajit Ray in a 1969 Bengali art film, this Hindi-language take is more like an animated version of a Bollywood musical: it boasts a richly designed world in which the colorful characters delightfully resemble nothing so much as marionettes (complete with hinge-like joints). But even more impressive is the original score — a succession of songs that are catchy as hell and feature lyrics that seem clever even when read as English subtitles. Fans of the animation and musical genres, whether children or adult, should make it a point to catch this. The film that launched a worldwide revolution . . . in terms of motion-picture editing! The most famous of all silent Russian movies is Sergei Eisenstein’s 1925 masterpiece about a failed political revolution that took place twenty years earlier. The crew of the battleship Potemkin rebels against unfair living conditions (including being ordered to eat maggot-infested meat), which causes them to mutiny and kill their commanding officers. When the ship docks in the port city of Odessa, the revolutionary fervor spreads to their comrades on land until the White Russian army is called in to crush the rebellion. The ensuing massacre is justifiably one of the most famous scenes in film history, a frenetic, rapidly edited montage that purposefully breaks the rules of classical editing in order to convey an overwhelming impression of violence and chaos. Whenever you see a shot of a baby carriage rolling down a flight of stairs in a T.V. show or movie, this is what’s being referenced. This screening will be accompanied by a live musical performance by an outfit calling itself “Mary Shelley” (featuring members of local bands The Smashing Pumpkins, Local H and Loom); I have no clue what it will sound like but silent movies are always better accompanied by live scores, and Eisenstein’s vigorous, pounding filmmaking cries out for a good one. This entry was posted on Monday, April 28th, 2014 at 8:06 am	and tagged with Battleship Potemkin, Benjamin Christensen, Goopi Gawaiya Bagha Bajaiya, Haxan, Mary Shelley, Sergei Eisenstein, Shilpa Ranade, The World of Goopi and Bagha, Wrekmeister Harmonies and posted in Film Festivals, Film Reviews. You can follow any responses to this entry through the RSS 2.0 feed. Yeah! 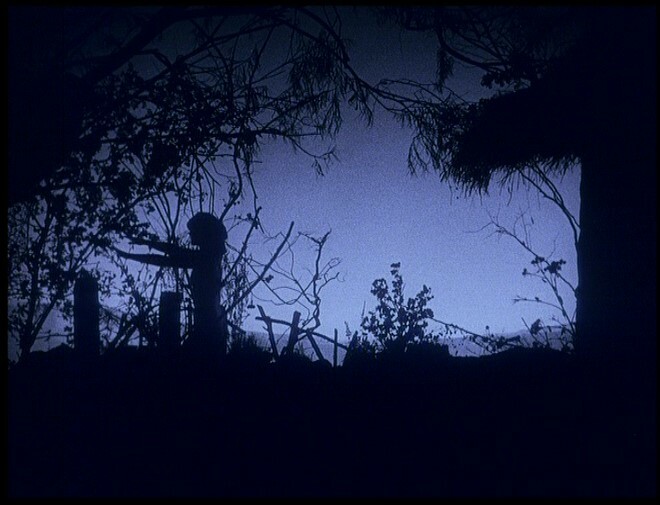 The first version I saw of HAXAN had the Burroughs narration. That was back in the VHS era. I’m glad Criterion put both versions on their DVD release.